With over a billion monthly active users, WhatsApp is one of the fastest growing social networks you should join Here Are the Fastest Growing Social Networks You Need to Join Here Are the Fastest Growing Social Networks You Need to Join While Facebook holds the lion's share of the social market, new services like Kik, Snapchat and WhatsApp threaten to break Facebook's stranglehold on the social Internet. Read More . And here’s one more reason. After releasing a Windows and Mac desktop app in 2016, the company has now made the app available from the Microsoft Store. While it’s a welcome addition to the WhatsApp family, you should know that — just like the desktop app — the Store app is quite similar to WhatsApp Web for browsers Use WhatsApp Web on Your PC: The Ultimate Guide Use WhatsApp Web on Your PC: The Ultimate Guide WhatsApp Web is a quick and easy way to use WhatsApp messages on your computer. We show you how to use WhatsApp Web on your PC. Read More , except for two major differences: keyboard shortcuts and desktop notifications. Apart from that, you won’t notice a difference. In fact, some third-party developers already make better desktop programs for WhatsApp. That said, this is the official app and it might offer exclusive features one day. Getting started with the WhatsApp Desktop and Store apps is pretty simple. It is the same connection process as in WhatsApp Web or any other WhatsApp client you use. To use WhatsApp Desktop, download the application to your hard drive, install, and run it. The window will show a QR code. Start WhatsApp on your smartphone. Scan the QR code on your computer screen by pointing your phone’s camera to it. WhatsApp will sync your phone and your computer. It’s really that simple. But note that this isn’t a standalone client. All WhatsApp desktop clients require your smartphone to be switched on, have an active internet connection, and have sufficient battery. If any of those conditions aren’t met, WhatsApp Desktop will stop working. WhatsApp for Windows and Mac also has limited functions compared to the smartphone app. For example, you can’t use your computer’s camera to take a photo or a video. 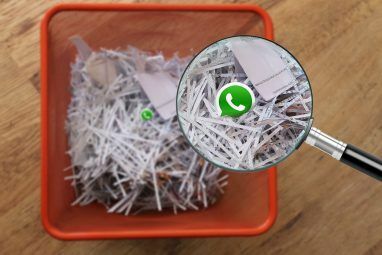 And you also can’t send contacts or maps and locations 9 Essential WhatsApp Tips and Tricks You Should Know 9 Essential WhatsApp Tips and Tricks You Should Know Here are some essential WhatsApp tips and tricks you may not know exist. But once you do, you're likely to make use of them. Read More . The above shortcuts work on Windows. If you’re on a Mac, replace CTRL with Command. Hold on, there’s a catch! WhatsApp Desktop works only on 64-bit desktop versions of Windows Chrome 64-bit Vs 32-bit For Windows - Is 64-bit Worth Installing? Chrome 64-bit Vs 32-bit For Windows - Is 64-bit Worth Installing? Anyone who is using Windows 7, 8, or 8.1 on a computer with a 64-bit processor can use Chrome 64-bit. What's the difference? I'm glad you asked. Read More . Plus, it doesn’t support Linux and it’s not a UWP (Universal Windows Platform) app. If you’d prefer to run WhatsApp as a UWP app, you should download WhatsApp from the Microsoft Store. But note that it’s essentially the same application, except that it’s sandboxed. Here are a few other things you should know about WhatsApp before you download it. Notifications Often Don’t Work on Windows. The WhatsApp mobile versions tend to give notifications seamlessly and quickly. However, that’s not always the case with the Windows version. Numerous users say the notifications do not work, and they never receive them. Notifications Only Appear With the Windows App Launched. There are also reports that notifications appear, but only with the app open. Because some people run the app in the background, they don’t like keeping it launched. You Cannot Respond Directly in the Notification Window. The notification feature on the Windows app merely alerts you about messages. It’s not possible to respond to them in the pop-up window. Unfortunately, that means having to go to the main app interface to give a response. Taking that step can be distracting if a message arrives while you’re involved in something. It supports Windows, Mac, and Linux, on 32-bit systems as well as 64-bit. It has a built-in spellcheck and auto-correct to underline misspelled words or correct the more commonly misspelled ones. It can be launched on startup. It supports desktop notifications (with quick reply option on Macs) and keyboard shortcuts. It has several themes to change the look of WhatsApp. In short, Whatsie does everything WhatsApp Desktop does, and offers more features on top of that. Right now, if you are thinking of downloading WhatsApp Desktop, I would recommend downloading Whatsie instead. 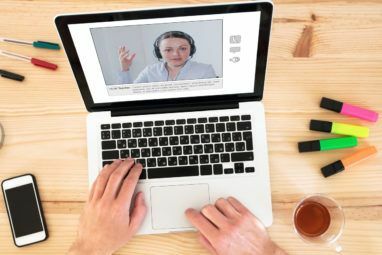 BetterChat supports your Mac’s camera to record photos or short clips. It also includes built-in filters! A Do Not Disturb button to mute all notifications when you need to avoid distractions. A global hotkey to hide/focus the app, as well as an icon in the Mac Menubar to do the same. Icon badge for unread messages. Customizable notifications, themes, and app settings. I really wish BetterChat was available for Windows and Linux because the application is the best WhatsApp client on desktops. Unfortunately, it’s Mac-only, but those two bucks are worth every penny. All the WhatsApp desktop clients have one thing in common: one WhatsApp account only. If you use multiple smartphones, you can’t have two WhatsApp accounts running side by side. Well, Franz fixes that. Franz is an all-in-one messenger app that supports WhatsApp, Facebook Messenger, Slack, Skype, WeChat, and several other services. 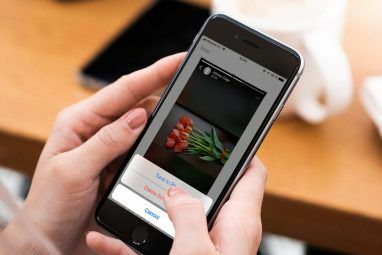 Much like it’s a great Facebook Messenger client 7 Best Facebook Messenger Apps for Desktop and Mobile 7 Best Facebook Messenger Apps for Desktop and Mobile Like Facebook Messenger, but want more flexibility? Don't worry, third party developers have your back. Here are the best Facebook Messenger apps you can get, apart from the official one. Read More for using multiple accounts simultaneously, the same logic applies here to make it a great WhatsApp client. Plus, even if you are running a single instance of WhatsApp, Franz can still be useful. After all, it’d be better to have this than a wide range of desktop clients for all the different chat and instant messengers you use. Despite these third-party programs being better than the client WhatsApp released, there is a case to be made for using the official WhatsApp Desktop. Historically, most services release new features only on their official clients and third-party developers have to work a little harder to catch up. WhatsApp is rumored to be introducing video chat soon, and such a feature would probably be available only on the official app. In the past too, WhatsApp has a history of blocking those who use third-party apps. It had suspended users of WhatsApp Plus for 24 hours, and even had other such apps removed from the Play Store and App Store. WhatsApp Desktop or Something Else? 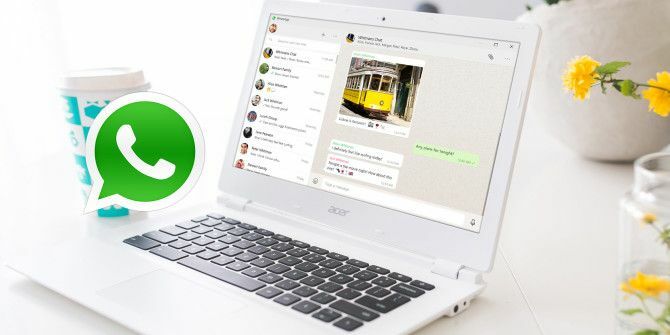 Whether you end up using the official desktop or Windows app or a third-party client, you may find that you prefer using WhatsApp on the desktop. You’ll be able to use a full screen and keyboard, including keyboard shortcuts, and you won’t have to pick up your phone as much. And you can close one more browser tab. But bear in mind that you’ll have to keep your smartphone connected for the apps to work. With all this information, are you going to use WhatsApp Desktop or are you thinking of getting one of the third-party apps noted above? If yes, which one? Heck, are you happy with WhatsApp Web itself? Explore more about: Chat Client, WhatsApp. Not a single link works! I still prefer to use the WhatsApp Web Client - Only works for Chrome though ... Boo! I use Viber and it is excellent. The phone call quality is amazingly crystal clear. It offers desktop clients, and works on phones on both Android and iPhone platforms. It also has location mapping which is great for tracking your kids down, and stickers to express your moods. I love it. Highly recommended and of course it is totally free.